Home | News | Who will Manannan favour for this year's cultural award? Who will Manannan favour for this year's cultural award? 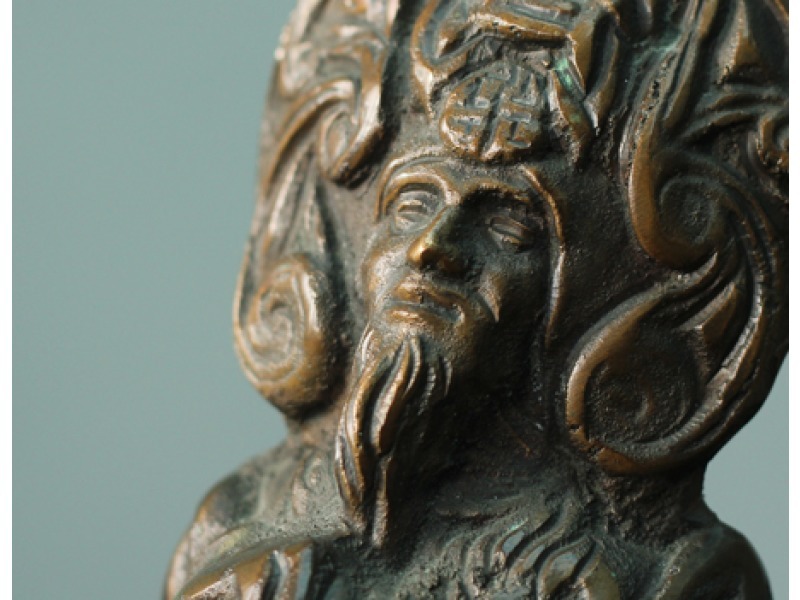 Nominations are open throughout November for an annual cultural award named after our very own Celtic sea god, Manannan. The ‘Reih Bleeaney Vanannan’ or RBV is awarded to an individual or group who has made the greatest contribution to the Island’s culture. Nominations are considered by a panel of representatives from various Manx cultural organisations and the winner is usually announced in January. But what kind of person could you think of proposing? You may want to nominate someone who works to promote and support art, dance, folklore, language, literature, music, history, education or the environment, or some other aspect of Manx culture. Last year, Manx language teacher and author Phil Kelly received the award, in recognition of decades of work in education, publishing and the development of innovative online resources. Previous winners include the Michael Players (dialect theatre), William Cain (wildlife and environment), Clare Kilgallon (music, song and dance), the Bunscoill Ghaelgagh (language and culture), Allan Skillan (field-walking and prehistory), and Maureen Costain Richards (Manx artistic heritage, particularly Manx crosses), which shows that the aspects of Manx culture covered by the award really are diverse. Your nomination should assume that the panel knows nothing about the individual or group. It should show how they have made an impact on the Island’s culture either over decades of work or through something remarkable in only a short space of time. If they have been active in one or more areas, or have achieved something remarkable in the past year, detail this – all aspects are considered by the panel. The winner of the award receives a personal donation of £500 and is invited to name a Manx cultural cause which will receive an additional donation of £500 from Culture Vannin. Recipients are also entitled to use the letters RBV after their name. It was Mona Douglas who championed Manannan as the patron of Manx culture, developing the original ‘Mananan Trophy’ together with Stephen Quayle. Later reincarnated as the RBV, the trophy was designed by the late Eric Austwick, and consists of the figure of Manannan standing on a piece of Pooilvaaish marble. Although the trophy is only held for a year, each recipient of the RBV is awarded a medal designed by Jenny Kissack and reproduced by Celtic Gold. Manannan entrusts nominations to the people of the Isle of Man, so it’s up to you to propose Manannan’s Choice of the Year. The closing date for nominations is Monday 26 November 2018.